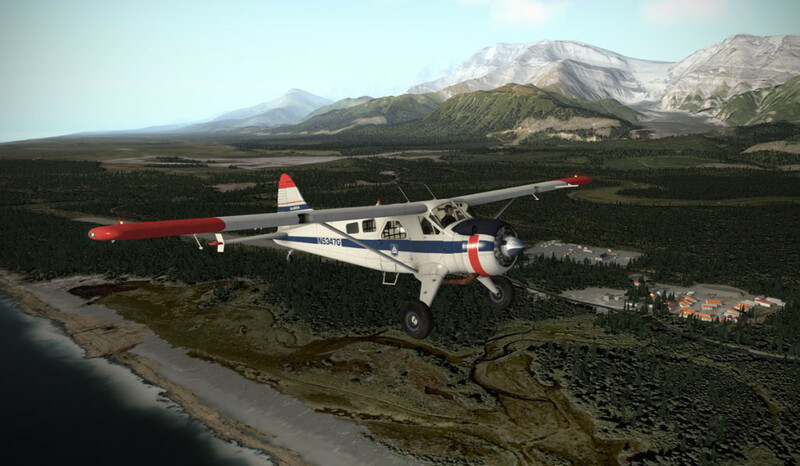 If backcountry flying appeals to your inner virtual pilot, SoulMade Simulations has the perfect bush aircraft for your needs. 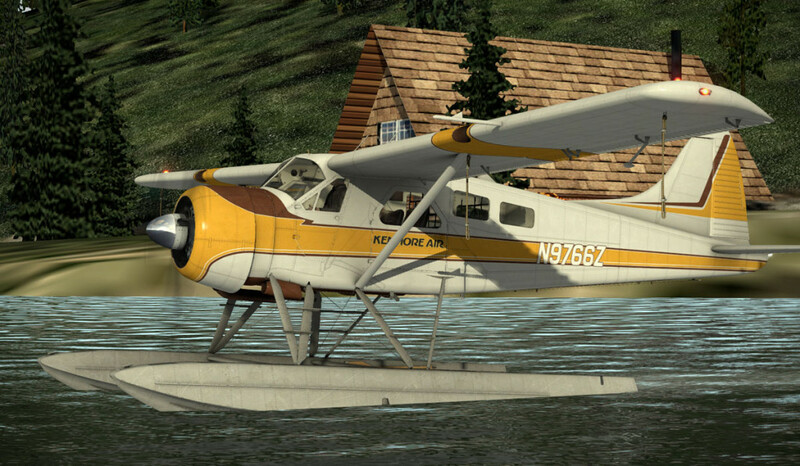 Whether a rough dirt strip, smooth pavement, or a scenic harbor tucked away deep in the wilderness, the many variants of the DHC-2 by SoulMade can get the job done. 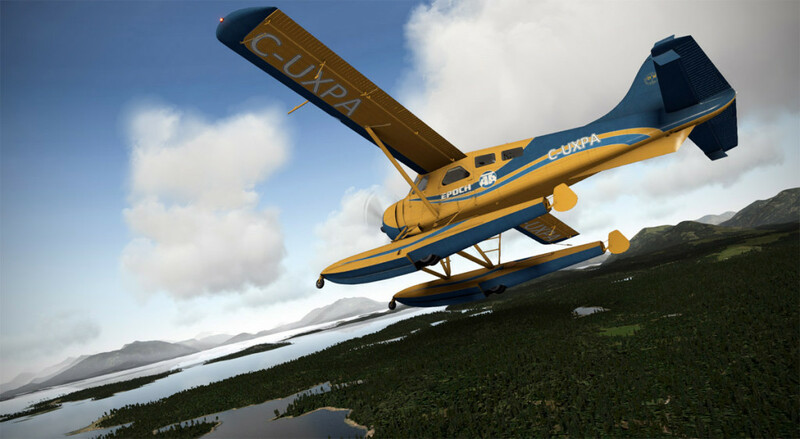 I stumbled upon the SoulMade Simulations DHC-2 Beaver while doing some flying for my favorite online virtual airline: EPOCH Alaska Air. 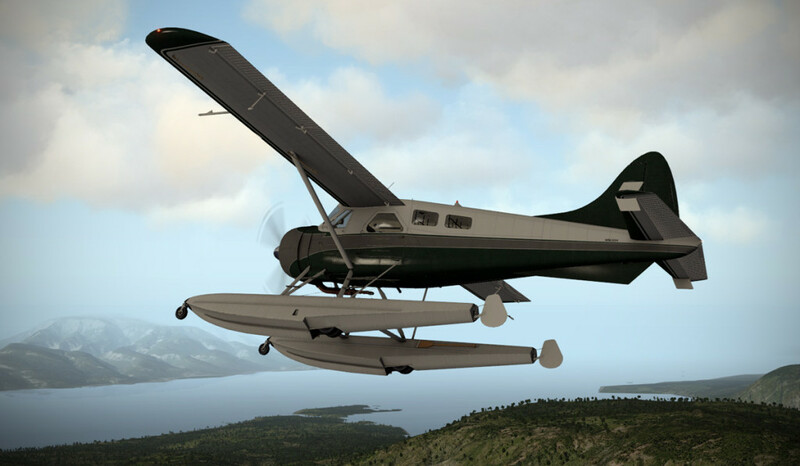 The bush pilots of EPOCH have an enormous depth of knowledge on seaplanes, bush planes, cargo haulers, and light passenger aircraft that has been both educational and entertaining to be a part of. 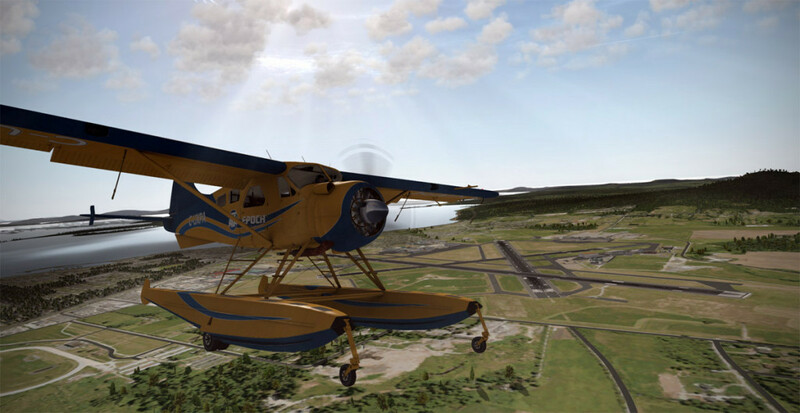 When the word filtered down that I was looking for a good aircraft with which to make some long, scenic flights – the recommendations for the SoulMade Simulations DHC-2 came pouring in. 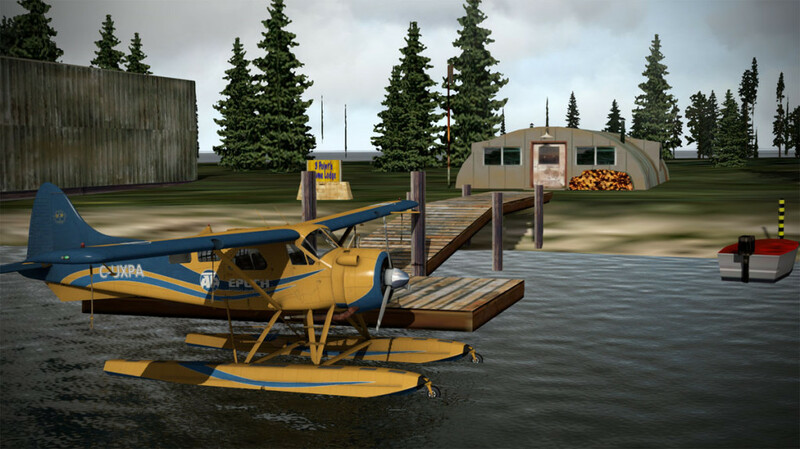 Given that much of the EPOCH flying area is rugged and dotted with floatplane bases, the multitude of variants included with the SoulMade package looked attractive. 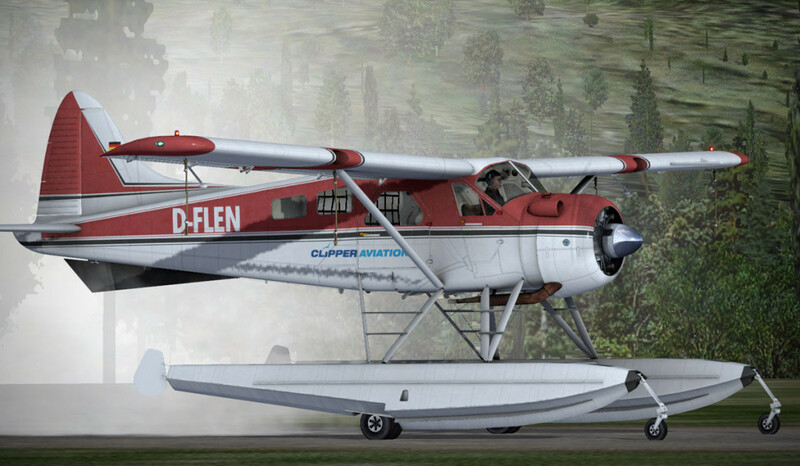 Airframes include the wheeled Beaver, with either standard wheels or tundra tires, a recently added pure float version, and my personal favorite, the amphibious version that has floats with retractable landing gear for instances when you need to land on a hard surface runway. 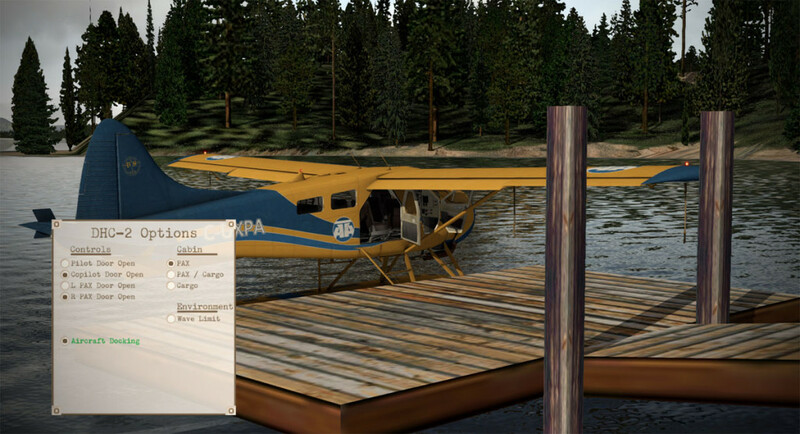 Standard tires and tundra tires are hot-swappable via a pop-up menu, but if you want to change to the float or amphib, you’ll have to load the aircraft from the X-Plane menu. 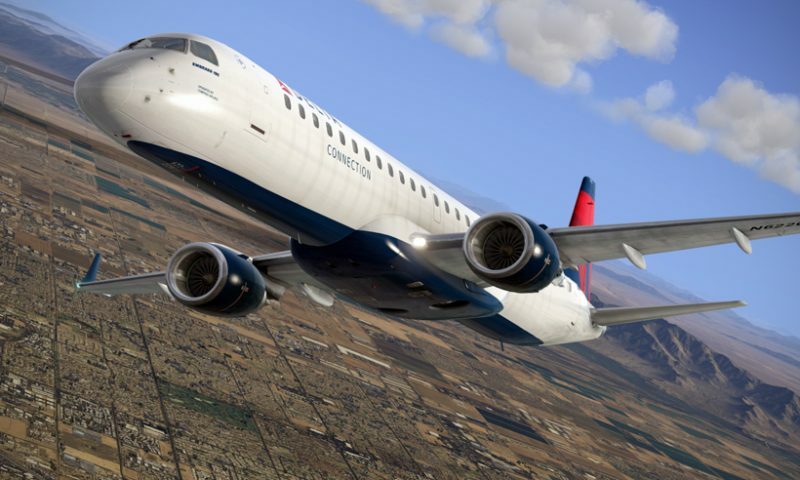 Included with the package are ten HD liveries that are just jaw dropping in their detail and beauty. Matching the artistry of the paint schemes is the detail of the external 3D model, which sports smooth curves, and fine attention to detail. The gear retraction animation is beautiful and the special touches like having the wing tie down ropes arcing backward in the slipstream is really unique. 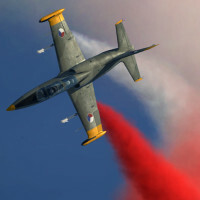 The fine detail of the model is apparent in this close-up of the float and fuselage. Note the ripples where the internal bulkheads are located. Upon entering the cockpit, the details really pop. 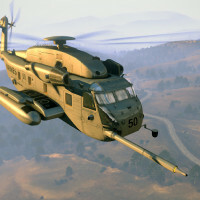 The virtual cockpit is masterfully recreated and you can immediately spot the utilitarian nature of this aircraft. No glass or cutting edge electronics here – just good old fashioned, reliable pitot-static “steam” gauges and basic COM/NAV radios are installed. At the moment, there isn’t even a GPS, which is kind of a fun and refreshing reminder that you can navigate just fine by pilotage, dead reckoning, and an occasional cross VOR radial check. The panel itself is a work of art, with just the right amount of wear and tear to feel like this plane has character. 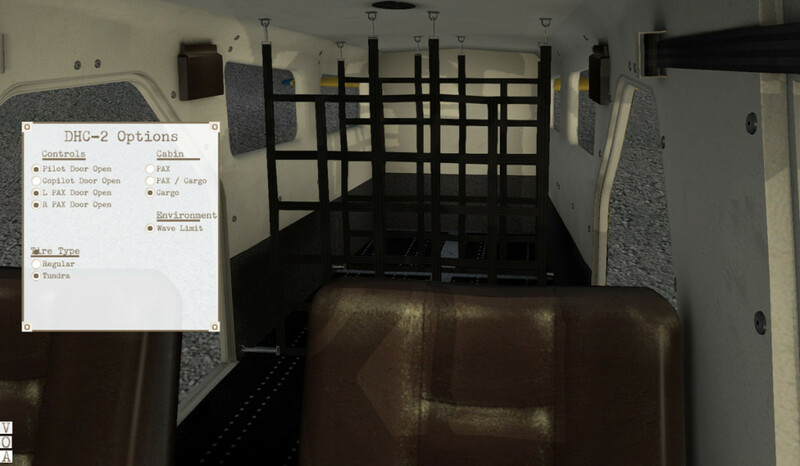 In the back of the cabin, three different hot-swappable interiors are offered with all passenger, mixed passenger/cargo, and pure cargo variants modeled. I have to admit, I’m a big fan of the pure cargo variant since boxes rarely complain..and almost never have to interrupt a trip to go to the bathroom! 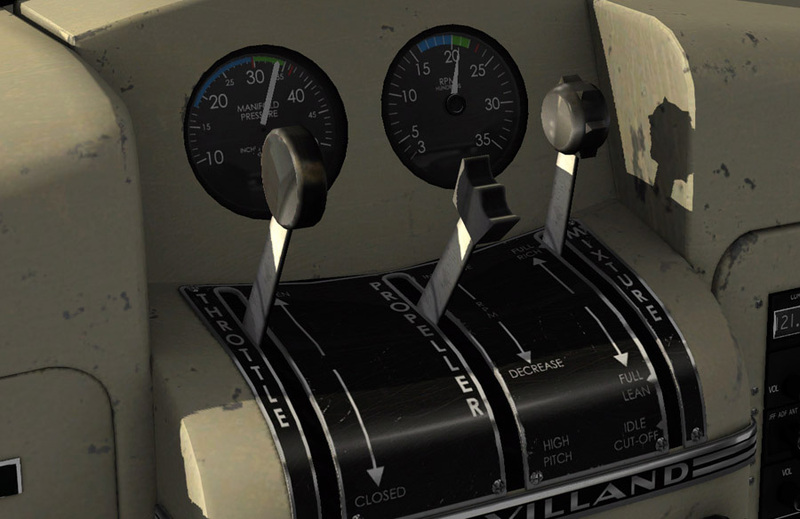 As is typical with most advanced X-Plane aircraft these days, nearly everything inside can be manipulated by just moving your mouse over the control and moving the: switch, lever, throttle, prop, mixture, water rudders, carb heat, fuel tank selector, radios, cabin doors, etc. A nice feature with this aircraft is that the panel is so straight forward and uncluttered with advanced avionics, that you can really spend a lot of time flying and sightseeing and only monitoring the panel as opposed to spending the majority of the time “managing” systems. It is a wonderful feeling and probably why I find many of my EPOCH flights help me decompress from my actual flying job. 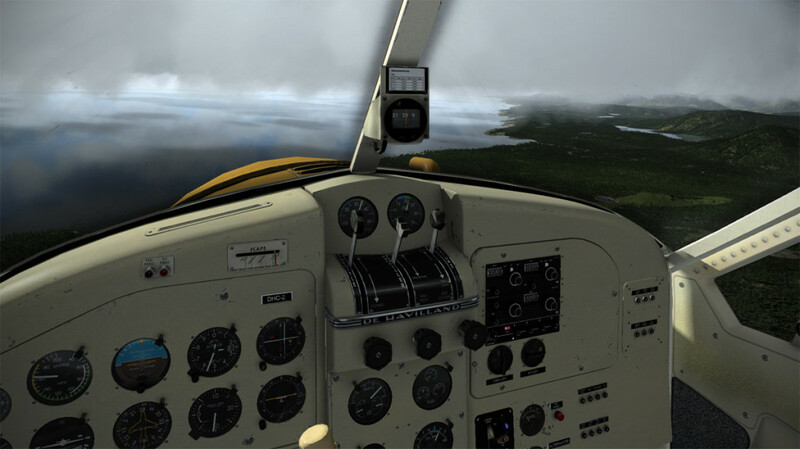 In a nod toward helping relieve some of the stick time, a very nicely modeled STEC-50 autopilot is installed which has basic heading, altitude, and navigation modes enabled. It is super-simple to operate, intuitive, and gives the Beaver just the right amount of “helpful” automation. 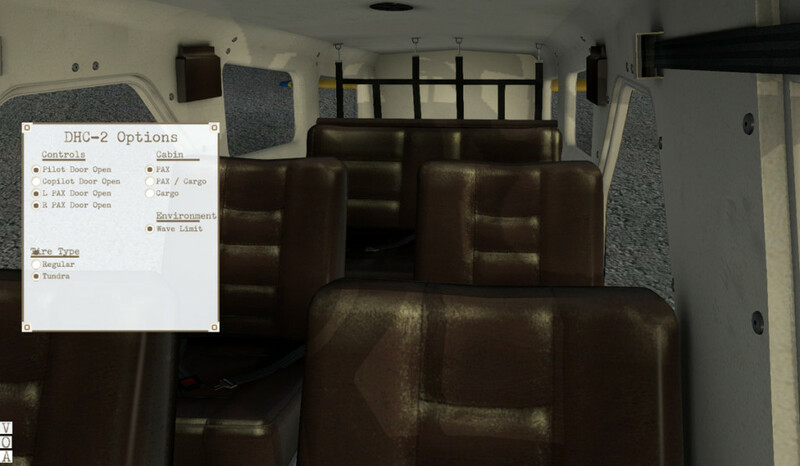 The autopilot, view controls, doors, cabin interior, and a couple other options are selectable via convenient pop-up menus that can dragged around to suit your needs. Night lighting, both internal and external, is very well done and sets the appropriate mood. It is going to sound ridiculous, but the rotating beacon modeling is fantastic and looks very realistic, as well as the wingtip white strobe effects that illuminate the bottom of the wing. 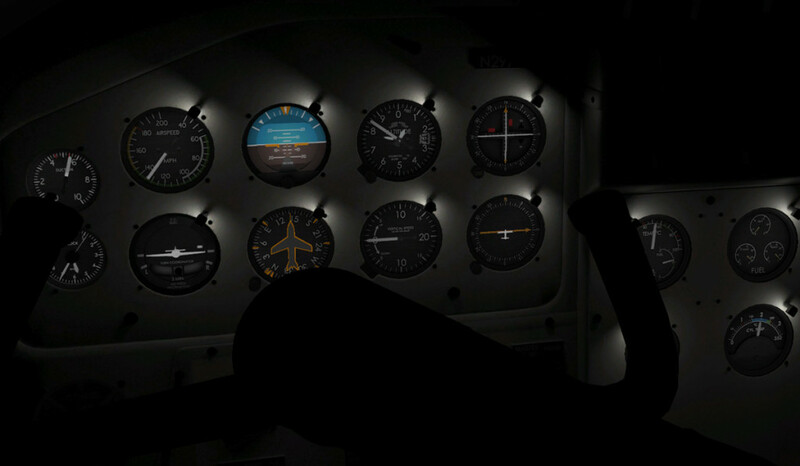 Cockpit lighting includes map, instrument, and cabin lighting, the later two of which can be individually dimmed with rheostats to give variable levels of illumination. 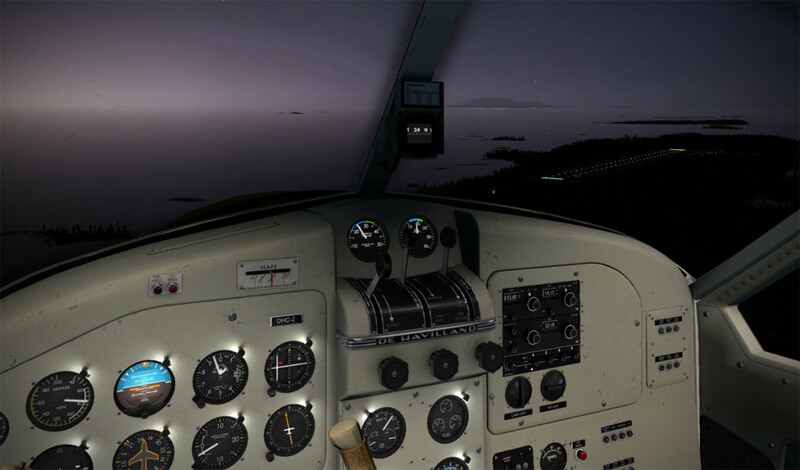 The instrument post lights are extremely well done and flying with just the instrument post lights while the northern lights dance across the skies is truly awesome and atmospheric. This is the area where some developers take some lumps (you know who you are!) and I’m happy to report that the SoulMade Beaver has exceptionally well done documentation. 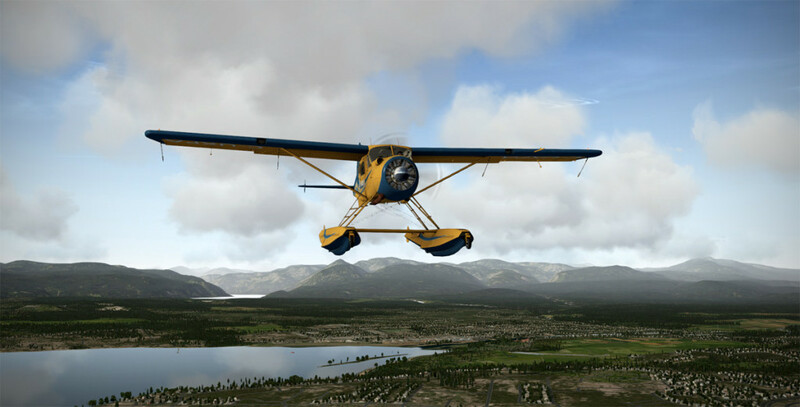 A beautifully written, 30-page Pilot’s Notes PDF gives a brief history of the Beaver followed by an overview of the sim-specific settings and features of the SoulMade model. Nicely labeled graphics provide all of the information you’ll need to navigate the cockpit and simulated features. Even the old typewriter font used in the document is perfect for the type of aircraft. 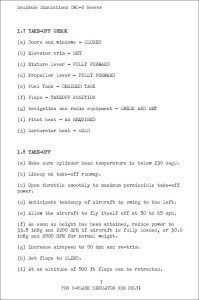 A 17-page Normal and Emergency Procedures checklist is essential reading (and following) to best understand the order of operations required to get the airplane started and through the various stages of flight. 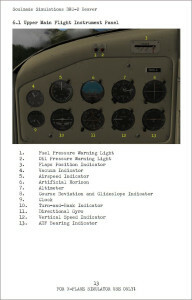 A 6-page Operating Limits & Performance Data guide gives an overview of airspeed and weight limitations, as well as some basic performance data (at max gross weight for the land and seaplane variants) such as max true airspeed, cruising speed, economy speed, stall speed, landing distance, range, and endurance. 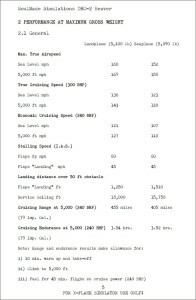 Sticklers might prefer some more detailed tables for various weights in order to crunch numbers for takeoff and landing distances, but something tells me the old hands at flying the Beaver look out the window to judge the wind, know their aircraft, and know that all the ladies lie about their weight and add the appropriate correction factor to judge their load and performance. 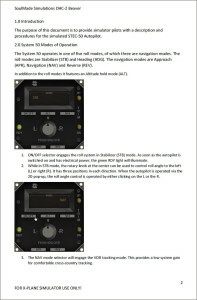 A four-page STEC-50 Autopilot manual, that could probably be bundled with the Pilot’s Notes PDF, gives a breakdown of the functionality and use of the nicely modeled autopilot. Bringing the Beaver to life is an immensely satisfying experience. It bears mentioning immediately that SoulMade absolutely nailed the deep, throaty sound of the awesome Pratty & Whitney Wasp Junior R-985 engine. The nine cylinder radial engine throbs with a “blat, blat, blat,” at idle power, threatening to bounce your Mudspike Coffee Mug off your desk if your bass is turned up. Once you add a bit of power, the coughing and popping turns into a satisfying rumble that can soothe the most savage beast. What a sound! The wheeled version acts predictably like a high torque, piston single should – with a good bit of right rudder initially during takeoff and a gradual easing of the rudder requirement as speed builds and rudder authority takes hold. Differential braking is required for turns and visibility over the nose is pretty good for a tail-dragger. 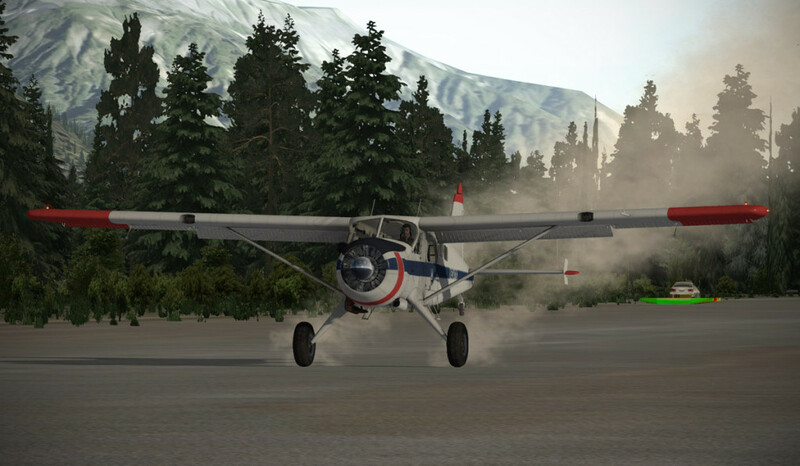 Takeoff runs are quite short (as are landing rollouts) which is why the Beaver is so popular for bush operations. 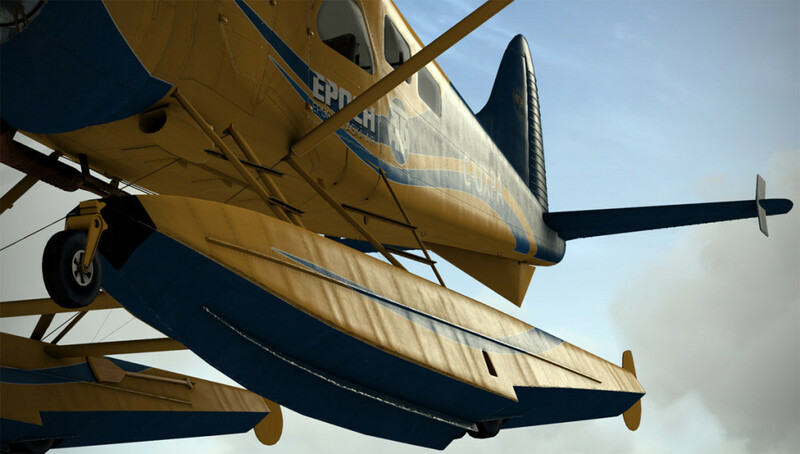 The amphibious and seaplane versions feature water rudders and retractable gear. 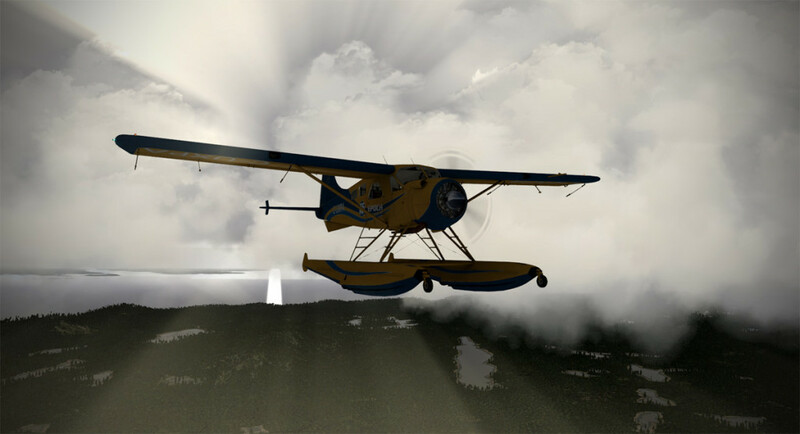 Landing in the amphibious version on water with the gear extended will result in problems of the upside down variety – so keep your head in the game when operating the amphibious Beaver. The water rudders seem perhaps a bit too effective when deployed, but I’m not a seaplane pilot, so I’m willing to concede I’m probably wrong on that. While I understand they are there to give extra control authority at low speeds, they do seem a bit more effective than I would have thought. With the water rudders retracted, I feel like the water taxiing requires more thought and gauging of the wind, drift, and turning rate. Cranking up the wind to 20 or 30 mph and taxiing seaplanes is fantastic fun, and the Beaver is no exception as it sails backwards and weathervanes into the wind. 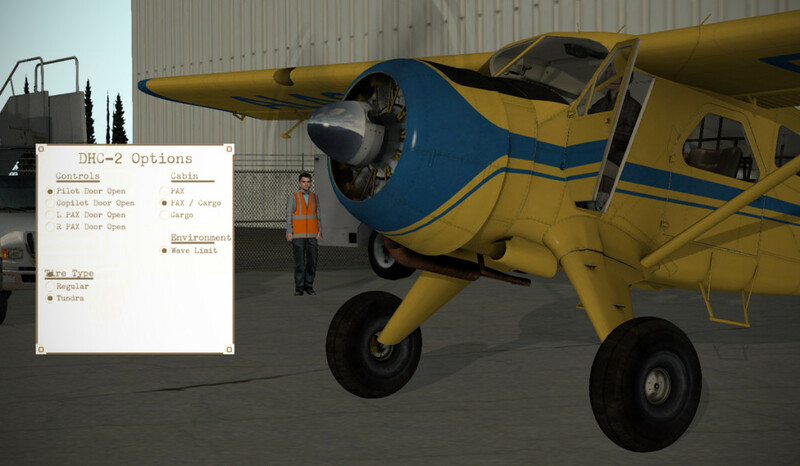 Two very nice features are the Aircraft Docking and Wave Limit selections on the Options pop-up menu. 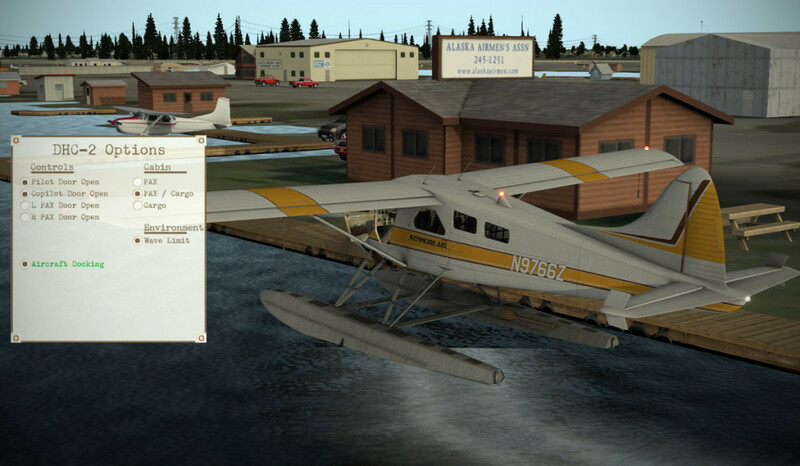 Aircraft docking freezes your aircraft in position, but allows it to pivot, simulating the ability to be out on the float to tie up to docks. The Wave Limit eases the X-Plane wave action to a more appropriate level since X-Plane sea state dynamics leave a bit to be desired and much more than about half a foot chop will result in some wild pitching. 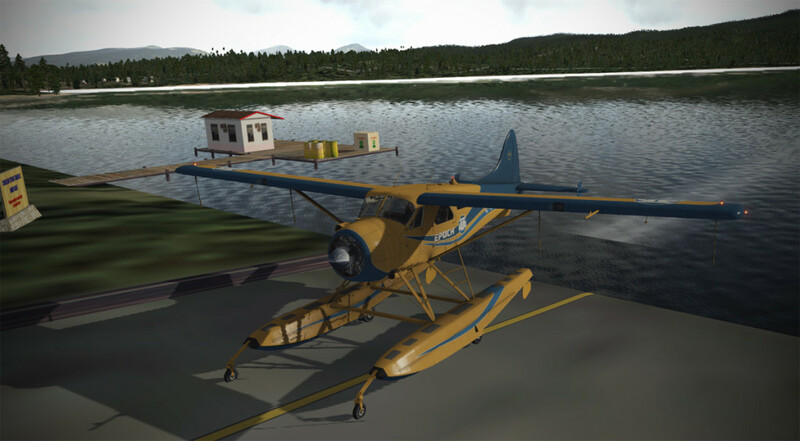 The amphibious version allows you to extend the landing gear while floating (at low speed) to climb up boat/seaplane ramps onto dry land. Doing a bit of light testing of the flight model, I was pleased to see that each model has appropriate drag and performance characteristics. For instance, at 3,000′ and running 27″ of manifold pressure over 2,200 RPM, I noted a 132 mph speed for the tundra tire Beaver, 126 mph for the amphibious Beaver, and 114 mph for the amphibious with the gear down – appropriate numbers (I would think) for the drag of the floats and landing gear. Fuel burn seemed in-line with the manual estimates. The controls feel “heavy” owing to the fairly large size of this piston single, but the handling characteristics are very forgiving. The flaps are hydraulic actuated via a hand pump in the cockpit which you can manually pump yourself, or you can just allow the X-Plane flap selector button to operate the pump for you (but it is really cool that they modeled the pump!). Fuel management is a critical component of Beaver flying given that there are three fuel tanks that feed the engine (left, right, and center) and keeping an eye on each tank’s quantity and selecting a different tank is important. 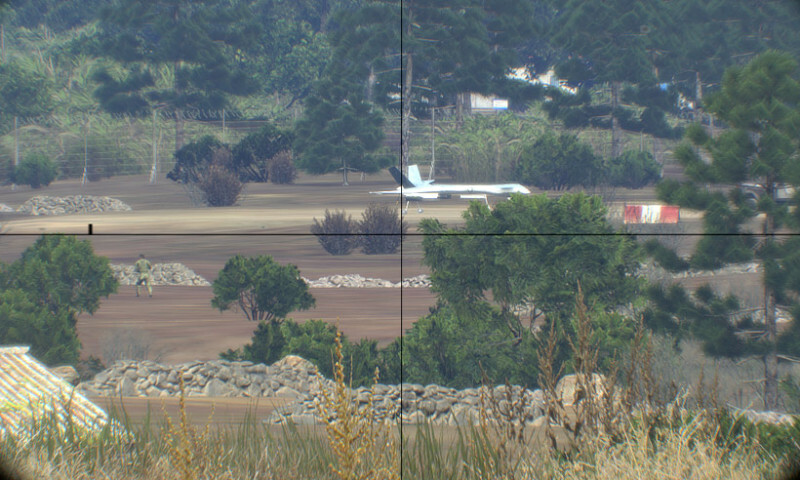 There are definitely times when flying in the backcountry that running a tank dry would have disastrous consequences. 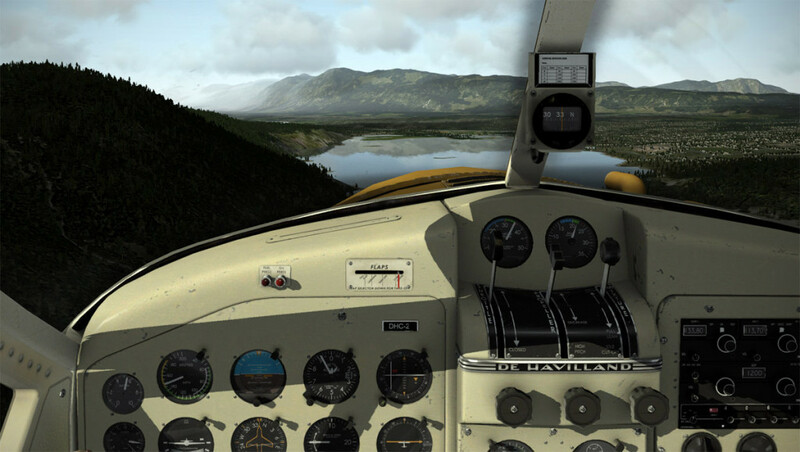 The ragged edges of the flight model are adequate – not having any Beaver time I can’t definitively tell you whether the stall behavior is realistic or not, but in a clean, power off stall you can reach full aft elevator and gingerly control the aircraft with rudder inputs. With full power on, one might expect an uncontrollable roll off onto a wing during power on stalls given the 450 hp radial torquing away, but the aircraft doesn’t really want to break unless you get super sloppy with it. When it does break, it enters more of a spiral than a spin, despite my attempts to cross control and force it to spin. In the 99.9% flight regime (the time where most of us spend our time), the flight model is fantastic and the book numbers hold up. Be careful when operating at low power settings under certain atmospheric conditions because the engine will develop carburetor icing and start losing power – application of carb heat will melt it away, but it can take some time to recover power. If you can’t tell already…I’m a fan! 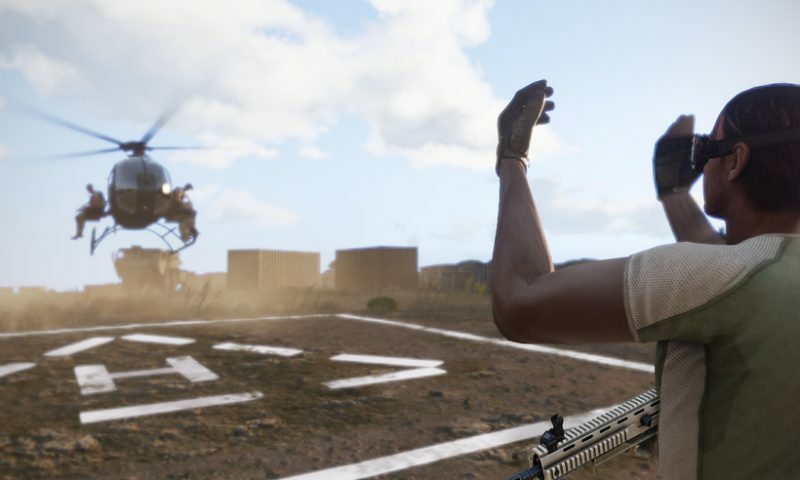 The attention to detail, gorgeous 3D modeling, sound effects, lighting effects, realism, documentation, and flexibility offered by the three models is a no-brainer for a bush pilot. 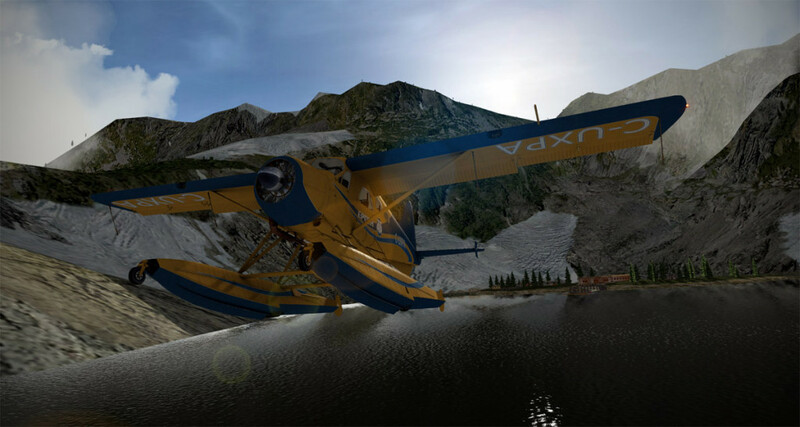 I can see I’ll be turning to the SoulMade Simulations DHC-2 Beaver quite frequently during my virtual airline flying. If I had unlimited funds (there’s a cheat code for Sims 2, you’d have thought there was one for real life by now?) then being a random destination sea-plane flying bush pilot in the Pacific Northwest would be up there in my top 3 chosen lifestyle choices. That looks like a great aircraft for that fantasy.